Mamata Banerjee announced a populist railway budget yesterday. Lalu Prasad Yadav did an excellent job with turning around India railways in last couple of years and Mamata seems to have taken the cue. 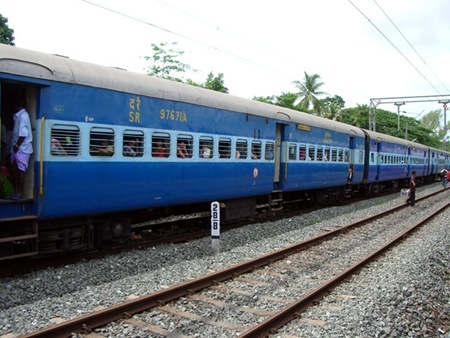 The new Railway budget 2009 has addressed some of the most important amenities that are needed for your rail travel. A common man should be quite happy with it. For one, the railways budget has not increased the fare at any level, which is actually a good news. 12 new non-stop Turant point to point trains introduced : This will really affect negatively the already sagging Indian airline sector. Rs 25 ticket for those with monthly salary under Rs 1000 under the ‘Izzat scheme’ : Another big hit ! What do you have to say on this years Railway Budget? Do you think this Railway budget has done enough to improve overall train journey? Let us know in your comments how do you rate this rail budget on a scale of 10.
what is the status of new railway line survy report for bhiwani – loharu railway line. For the Lakhs of Passengers travelling between Mumbai and Chennai there are no improvements. No new trains introduced in this section. For a distance of 1200 KM one has to spend 24 Hours. Rampant Beggar Menace, Frequent Thefts, Poor quality of Food, inadequate capacity in Airconditioned Cars are few other notable problems. A decent human being is forced to travel by Air on account of all these problems. Who will own the responsibility for this debacle? When will Railways bring succour to sufferings?.